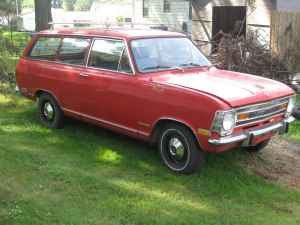 The Kadett was very popular for awhile in the US. At one point it was the second most popular import, behind Volkswagen. It was meant to be an economical, well built, inexpensive car, and it succeeded at that. It was far from exciting. For a car that was once so popular, there are very few left. It's kind of strange; the Kadett had no real engineering or mechanical flaws and it didn't rust any worse than any other car from the late sixties / early seventies. It was a car that went about its business with very little drama and very little excitement. Maybe because of that, no one thought to preserve a Kadett. This car is a restoration project, but it has a lot going for it. First and foremost, it has the 1.9 liter engine and it's a 4 speed manual. (The 1.9 was an option and was a huge improvement over the standard 1.1. It was however, often paired with the optional automatic transmission.) The seller has owned it for 15 years and has done some work to it, including new brakes and the mandatory Weber carb conversion. 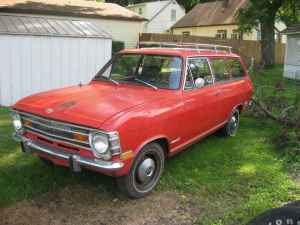 The seller says all of its - now getting hard to find - trim is there and it has minimal rust. He does not mention the condition of the interior, but Opel interiors are fairly durable. 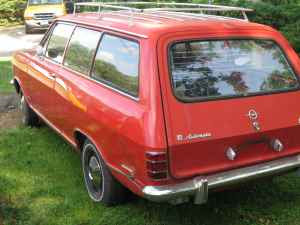 If you're looking for an exciting German import to restore, this is not the car. But, if you're looking for a little piece of automotive history and a car you won't see at every car show, this would be a perfect choice. 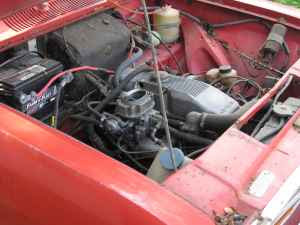 Located in Moline, IL, click here to see the Craigslist ad. A big thanks to JaCG reader, Tim, for sending me the link to this car! Is it wrong to be more entertained by your radio story than the car itself? You noticed right away that the aluminum valve cover is really off of the Opel GT. (slanted in the front to clear the sloping nose of that car) Never had a wagon, but did have multiple Mantas, a GT & an Ascona.